Start times are 10:00 a.m., 12:30 p.m., and 3:00 p.m. Please be at the meeting spot 30 minutes before the start time. 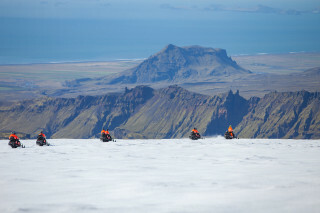 South Iceland is certainly spectacular from "below,” but nothing tops experiencing it from "above.” Join a snowmobile tour to the top of Myrdalsjokull glacier - a pristine icecap covering one of Iceland’s largest volcano, Katla. 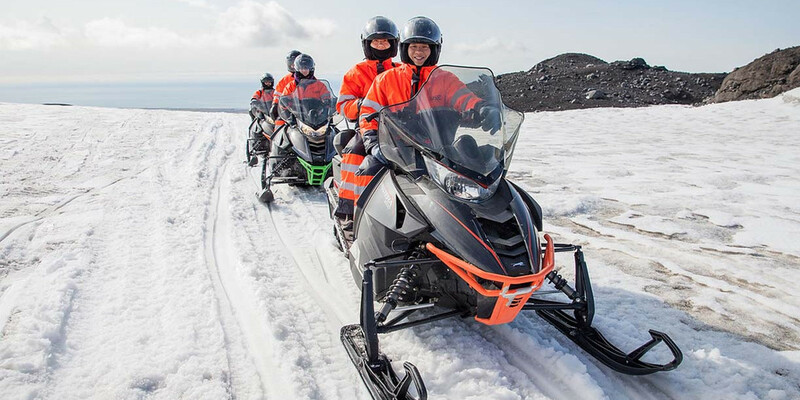 The snowmobile tour is perfect for those who are looking for a thrilling scenic ride on a glacier. 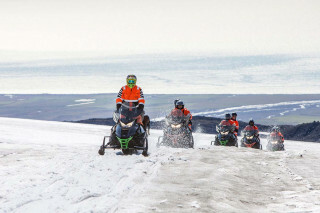 This adventure is suitable for first-time riders. The tour starts with a short briefing and dressing at the main base. 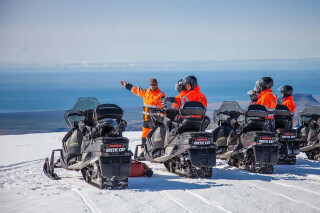 Next, you board a glacier truck and head up the mountain towards the glacier and the location of the snowmobiles. 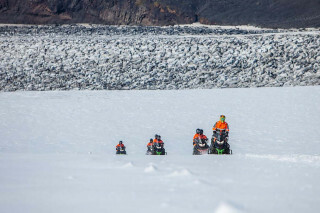 Take hold of your snowmobile and whip across the ice. 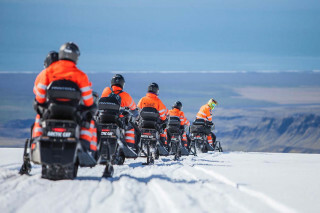 Take in the views as the ride takes you to the top of Myrdalsjokull glacier. Once at the top, the group stops to take a few photos and take in the views. 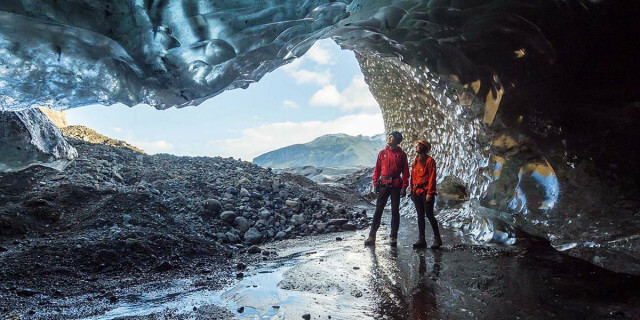 Peer out over the 595 km2 (230 sq mi) glacier to the mountains and ocean in the distance. Everything you need for a safe and comfortable ride is provided – just bring yourself. 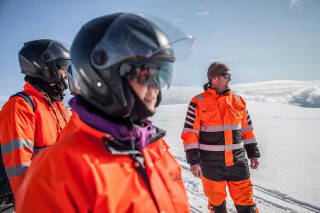 The guides go through safety procedures and hand out the special clothing and helmets. 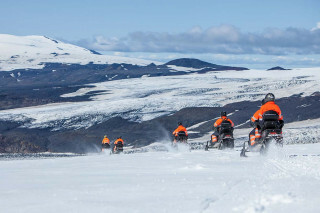 If you have a valid driver's license, you can learn to drive a snowmobile, which is super easy. 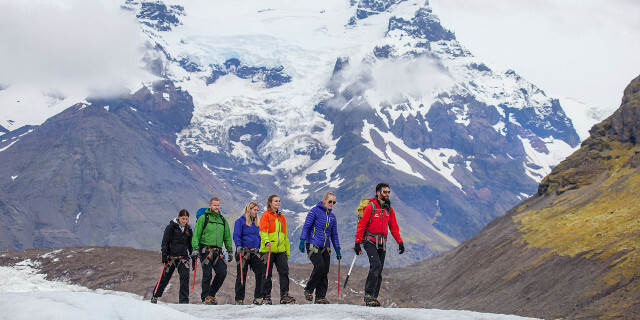 Get ready for a speeding excursion across a gigantic glacier. 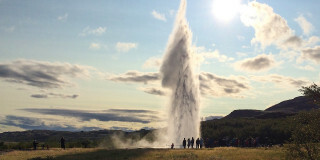 The ride is as wild as the Icelandic wilderness itself.